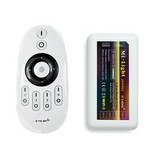 Using the 4-zone remote control you can control max. 4 separate dimmers. Therefore, each zone requires a separate dimmer. Extra dimmers need to be ordered separately. This is a very versatile LED Dimmer for professional or home use. 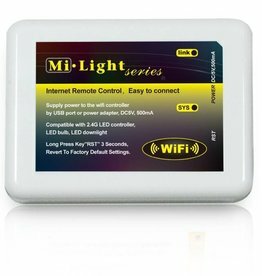 With just one remote you have total control over your LED Strip lighting. You can dim any of the 4 zones separately. 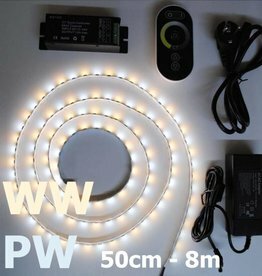 If you have installed a color temperature adjustable LED strip (see related products), or separate white and warm white LED strips, it is also possible to adjust the color temperature using this dimmer. You can connect max. 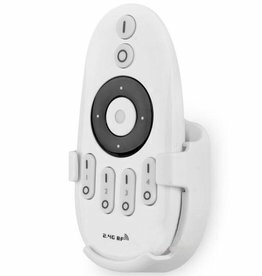 144W of LED strip to this dimmer. 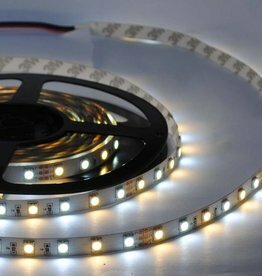 On each LED strip page, you can find the power use per meter, and calculate how many meters you can connect to this dimmer. Choose any of the 4 zones. After a zone is selected, you can dim, change the color temperature, and switch on/off.